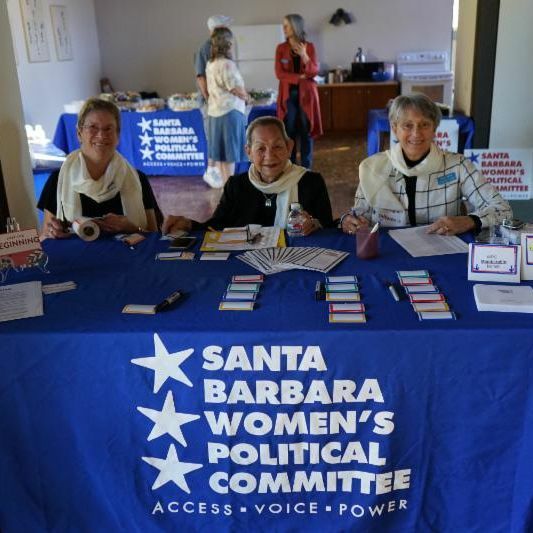 The Santa Barbara Women’s Political Committee kicked off 2019 with a visible presence at the Women’s March Santa Barbara, our Annual Membership Meeting and with a Board Retreat. 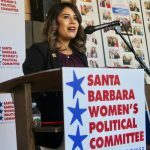 At the Women’s March, I was proud to represent SBWPC and speak about our feminist values and our determination to continue to persist in the face of relentless efforts to curtail our rights. It was a beautiful and powerful day in our community and an energizing event. Later in January, we hosted our annual all member meeting. This event is always a great opportunity for members to come together and gear up for the next year. At this meeting, we were honored to have newly elected Santa Maria City Councilmember, Gloria Soto, address our membership. Gloria spoke to the importance of women in elected office and was a clear example to our members of the power of women policymakers. Her inspiring words are a reminder of the importance of our work and what a difference it makes to have women in elected office. 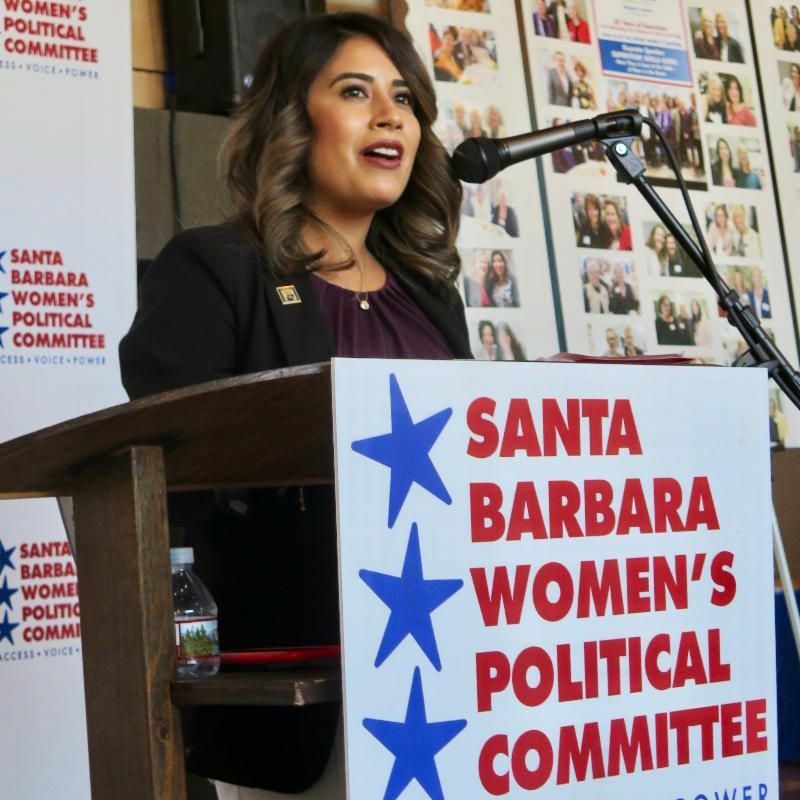 We know the City of Santa Maria is in good hands and we look forward to following her leadership. KCSB did a story about our Annual Meeting. If you didn’t catch it on the radio, you can hear it by clicking here . 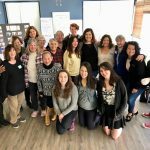 Fund for a Feminist Future – We need your support! 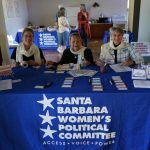 The Santa Barbara Women’s Political Committee will begin the process of looking at races coming up in 2019 – and in 2020. 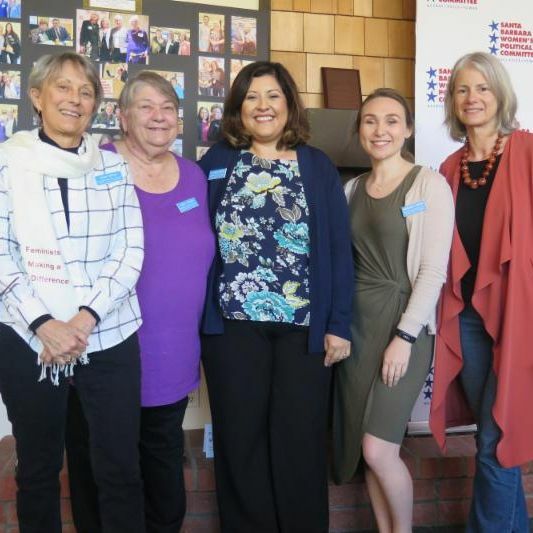 The work we do to recruit, train and support feminist candidates is ongoing. In order to continue doing this important work, we need your support. We’ve established the Fund for a Feminist Future, which is a dedicated fund to promote progressive, feminist political involvement. Its goal is to increase the number of feminist women in elected and appointed office. These funds are exclusively used in two areas: campaign training and campaign contributions. Consider making a contribution to this important fund today. Learn more on our website or by clicking here . Lastly, the Board of the SBWPC is made up of dedicated, hard-working feminists. 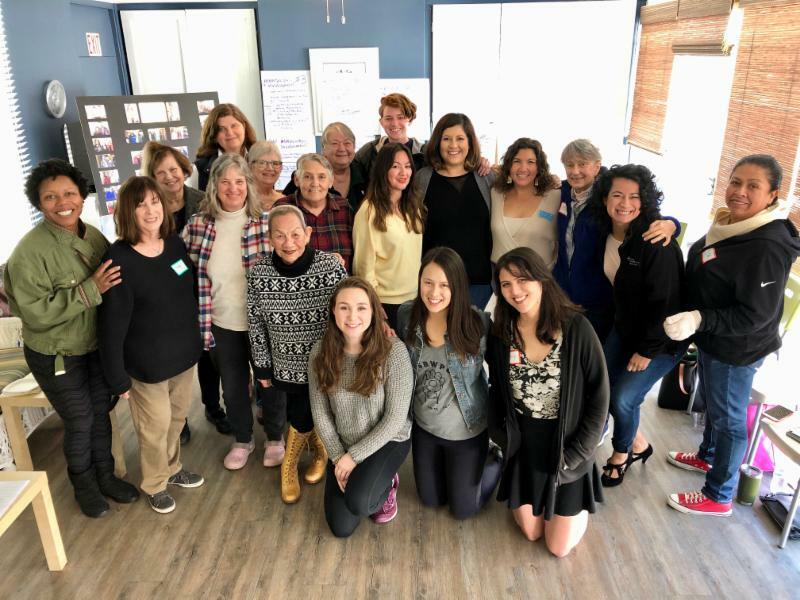 Over the weekend, we came together for a Board Retreat where we were able to being outlining our priorities for 2019. We are energized and ready to go!